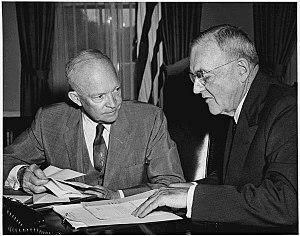 This entry was posted in Eisenhower's Leadership, Security and the Economy and tagged Cold War, Dwight D. Eisenhower, Economy, Eisenhower, Leadership, National Defense, Security, U.S. Balanced Budget. Bookmark the permalink.